New Mexican food is its own thing–not Mexican, not Texan, not Latin or Caribbean. 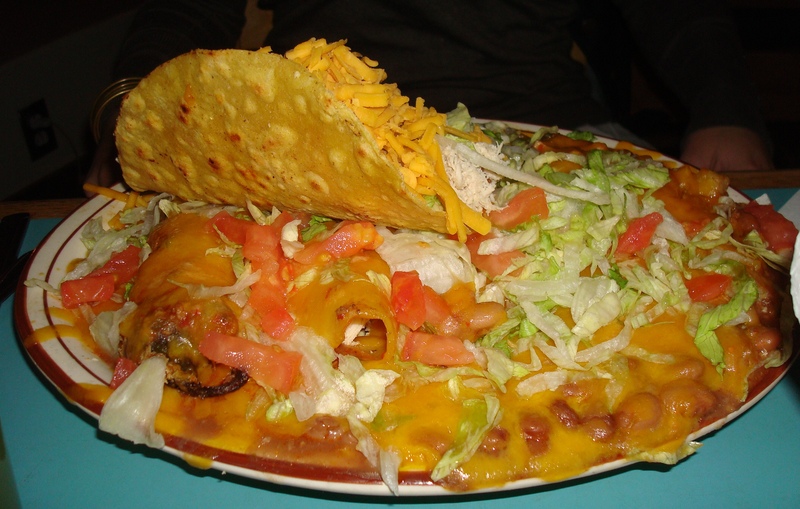 It is mostly made of tortillas, beans, cheese, corn, pork, RED AND GREEN CHILI. It’s not my favorite of all the world’s cuisines but all of a sudden, for no apparent reason, I will crave it. Like today. Working late again will be my excuse for some of the hot greasy chili-laden stuff of ex-patriot New Mexican dreams. Minnesotans usually crave meat loaf and walleye and cinnamon rolls, flavored with salt and sugar and butter, but we do have our more adventurous moments. Posted on July 23, 2013, in Living LIFE and tagged New Mexican food. Bookmark the permalink. 2 Comments. Marj I am drooling uncontrollably. Ex-patriot New Mexican dreams indeed.